Antony Darnborough produced three compendium adaptations of Somerset Maugham stories — QUARTET, TRIO and ENCORE. I watched the third one first, because I was interested in the contribution of director Anthony Pelissier, who seems to me an intriguing stylist. But in fact the real fascination proved to be elsewhere. Three stories and, unlike the previous entries in the series, three different directors. Pat Jackson helmed a story about the hostilities between respected businessman Roland Culver and his ne-er-do-well brother Nigel Patrick. I like both actors, but this didn’t have too much to commend it either as cinema or story. 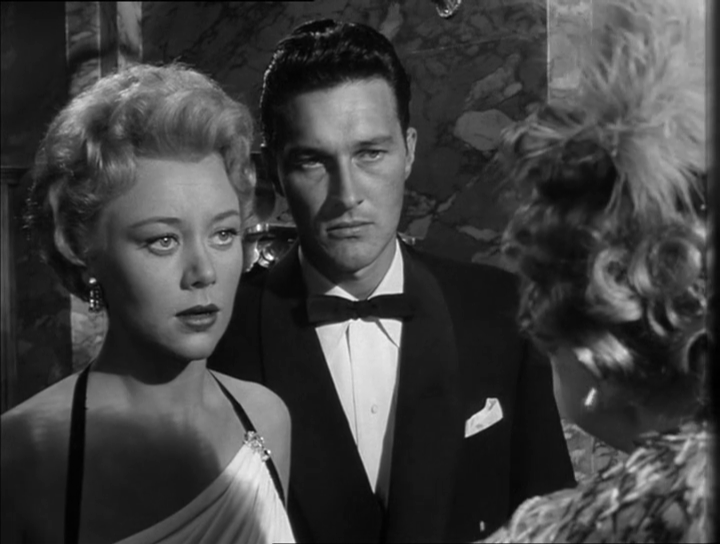 The Pelissier episode stars Kay Walsh as a spinster and a bore, enlisting on a winter cruise to the Bahamas and ending up as the sole passenger. 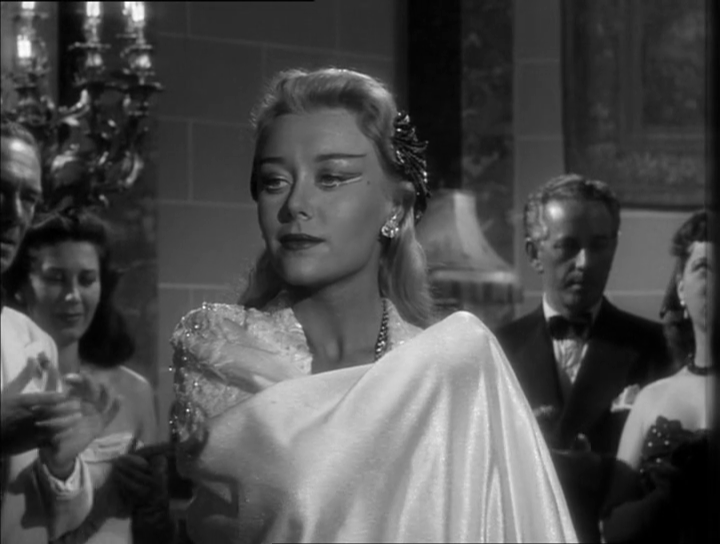 She’s driving the crew to distraction with her inane prattle, so they try to arrange a love affair with the attractive young French steward to give her a distraction and hopefully shut her up. It’s a comedy with the potential for heartbreak but the unexpected pay-off is rather brilliant — feminist, even. 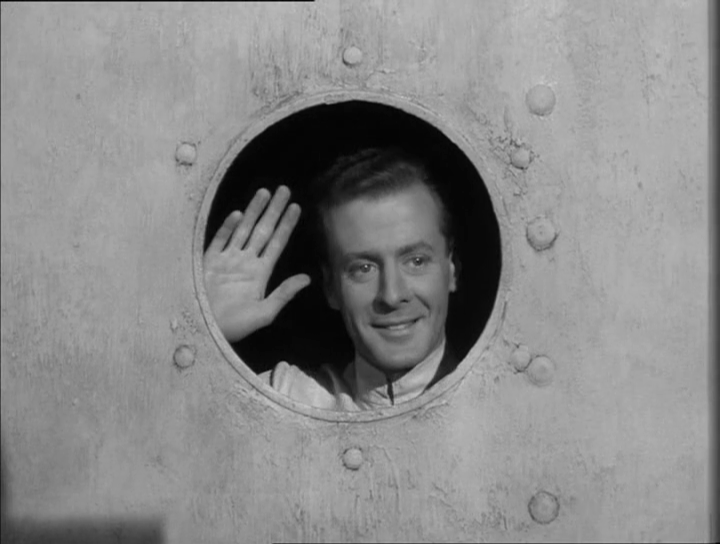 Pelissier’s nicest moment is a montage in which Walsh’s chattering voice seems to drivel from every funnel and porthole on the ship. Otherwise, it doesn’t seem to offer him much scope for the feverish expressionism he could bring to his work, and it definitely suffers from following so soon on the heels of a story which similarly concentrates on a series of variations on a single comic theme. But then we get Harold French’s story, scripted by Eric Ambler, which is a thriller. Glynis Johns and Terence Morgan are a daredevil act performing at a Monte Carlo hotel. In fact, he just announces the feat and she performs it, diving fifty feet into a tub of water which has been lit on fire with petrol. The crisis comes when Glynis comes to doubt her partner’s devotion and consequently loses her nerve. A lovely retired pair of circus artistes, Mary Merrill and Martin Miller, are on hand, and she, a former human cannonball, attests that when a couple of daredevils have a quarrel, it’s suicide to go on with the act. This is all a very nice set-up for drama, and French surprised me with some vertiginous POV shots (I’d always thought he was kind of staid), but what sends it over the edge is the fearful intensity of Glynis J’s performance: for whole scenes she just STARES at whoever’s talking, and you know she feels like she’s staring Death in the face. It’s a look I have seen on the faces of those in the grip of acute anxiety. While Glynis the light comedian is a treasure — we recently enjoyed THE CARD in which her voice, that delicious throaty gurgle, achieves a kind of apotheosis, echoing from within a partly submerged removal van, and she sounds like a baby coming back to life — Glynis the dramatic actress is also a force to be reckoned with, and something I must investigate further.